Foaming sea, roaring volcanoes, white mountains of pumice, stacks, and thermal springs, each of them are expression of a land forged in the deepest bowels of the Tyrrhenian sea in the workshop of Hephaestus, the Olympian god of Fire. The volcanic origin of this archipelago is so unique and tangible to deserve the prestigious reward of the UNESCO, as the World Heritage Site. This tour is directed towards the discover of places where the volcanic activity has marked, and continues to permanently mark the Aeolian landscape. Day 1: The suggested tour sets as the first halt the Island of Salina where it is possible to observe traces of its past volcanic activity. It starts with the excursion on Mount Fossa delle Felci, the highest peak of the whole archipelago (968m above sea level). The climbing is not difficult, in about two hours it is possible to reach the peak, where to admire an evocative landscape. On the horizon, the Sicilian coasts, surmounted by Etna, Alicudi, Filicudi, Stromboli, Panarea, Lipari, and Vulcano constitute a frame for a sumptuousness of the crater. 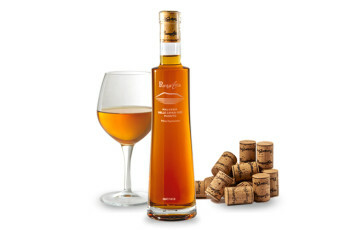 In the afternoon they visit Pollara, one of the most suggestive corners of the island. The village is situated over the extinct volcano, currently partly collapsed; a beach surrounded by a steep cliff is all what remains of it. From this site it is possible to observe the evident lava stratification, the volcanic neck (solidified volcanic eruption channel), and Perciato Arch. 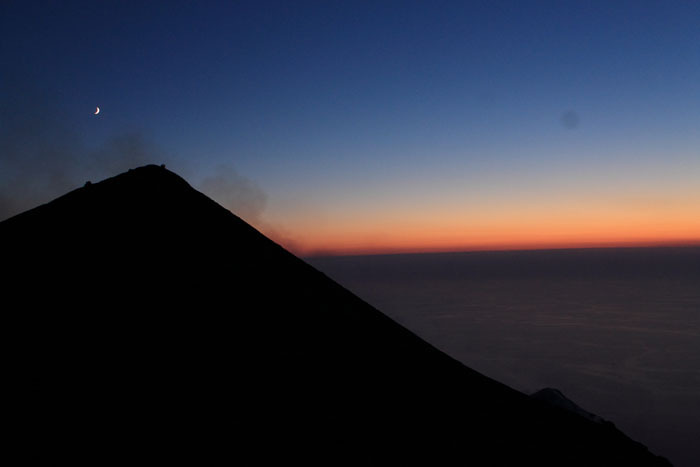 In this place, according to many, it is possible to admire one of the most beautiful sunsets of the Aeolian Islands. 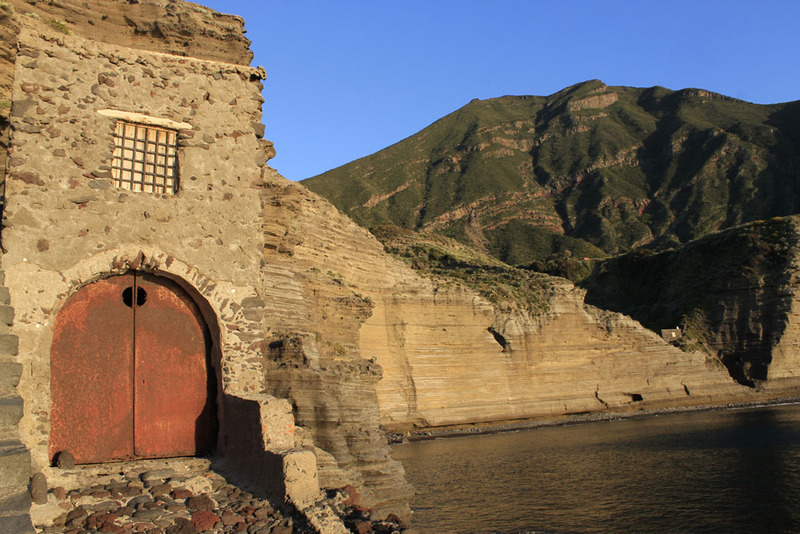 For the lovers of curiosities it is recommended to visit the house where Pablo Neruda lived in the film “Il Postino” (The Postman) with Massimo Troisi. 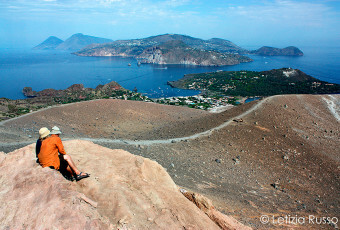 Day 2: During the second day the trip towards Vulcano, the halt in pursuit of relax, is planned. A reinvigorating bath into geothermal springs is the perfect way to relax yourselves after the trip. Thermal spring, rich of mineral salts, is extracted in subsoil, at 50m of depth, and it flows at temperature of 50°C. Apart from benefit effects for the skin, thermal spring is advisable for a post-operation rehabilitation, for circulation problems, low back pain, and cervical-brachial pains. In late afternoon the climbing of the crater is planned. The route is of medium difficulty, and a small tax for climbing is to be paid. It does not need a particular training or specific equipment. It is advisable to avoid climbing during the hottest hours, the better time is around 6pm, when the temperatures low while it is possible to enjoy the landscape and the sunset. Advices: put on comfortable shoes, and bring supplies of water and a torch with you. 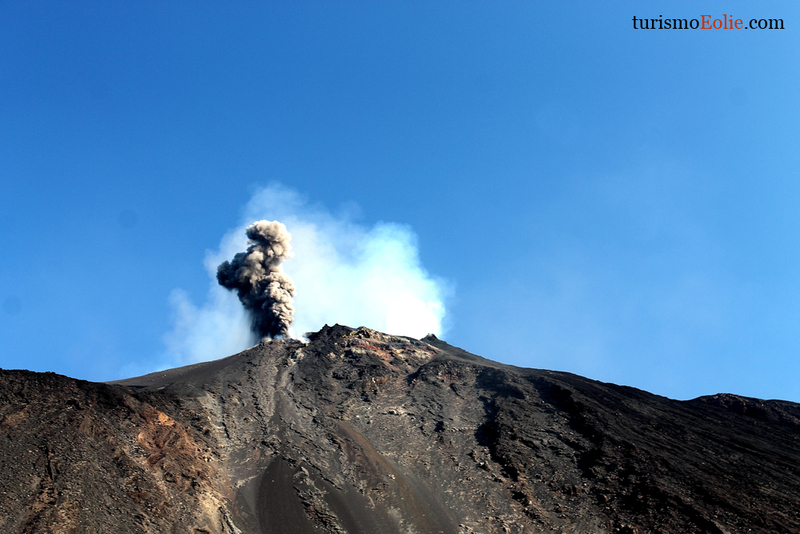 Day 3: The third day is dedicated to volcanic activities which occur spontaneously on the terrestrial surface. We start with a bath in a thermal mud lake, a natural swimming pool where ground water flows; sulphuric emissions, anhydrides, metal salts, and natural radioactivity have therapeutic effects, already known during the Roman Age. It would seem impossible to immerse yourselves into waters of the place, where the strong smell of sulphur can be perceived in the distance, but the landscape’s grandeur and the therapeutic effects of volcanic muds instil a sensation of great well-being, so the unique immersion experience in muds is not to be missed. Not far away from thermal lake there is Delle Fumarole Beach, so peculiar because it is bathed by waters warmed by sulphuric emissions. In many points water foams because of these underwater gas springs which make swimming very pleasant. Another beach situated in neighbouring zones is that of Black Sands (Sabbie Nere), called so for its sand’s colour of volcanic origin. 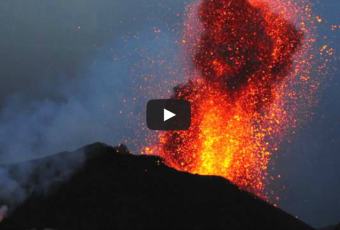 Day 4: the fourth day we move to Stromboli to immediately join the Sciara del Fuoco and the Strombolicchio. The guided tour or one of the many charterers on the island will lead us via sea to discover of volcanic explosive manifestations. One of the first performances we are going to admire on this island is surely the Shaiara del Fuoco, a place where Iddu pours lapilli, coming from its explosion. Via sea we can reach the Strombolicchio, a neck (solidified volcanic eruption channel). The Strombolichhio is the little island with the walls towering the sea, and it is surmounted by a lighthouse supplied by solar energy. It is a wonderful place where to swim in deep waters of an intense blue colours, or for snorkelling activities! To conclude the tour we advise you a dinner at Osservatorio. It is a little restaurant situated in one of the highest and more evocative corners of the island of Stromboli, from where it is possible to enjoy, from a small distance, the explosive activity of Iddu while drinking a good glass of local Malvasia! 6pm). The ascent of the crater occurs only if you are accompanied by authorized guides, the route is enough curvy, long, and not suitable for whoever. After two hours and a half of a steep climb we reach the peak where a lunar-like landscape constitutes the frame for amazing eruption of Stromboli.